We are Charlotte's Premier Junk Removal Specialist. Our services include residential junk removal, commercial junk removal, construction site clean up, home preservation, gravel grading, yard grading, back filling, swimming pool removal, dirt, gravel, mulch delivery and light demolition such as swings sets and sheds. Born and raised in the beautiful city of Charlotte, Mario Hoover prides himself as Founder & CEO of Clutter-Me-Not! 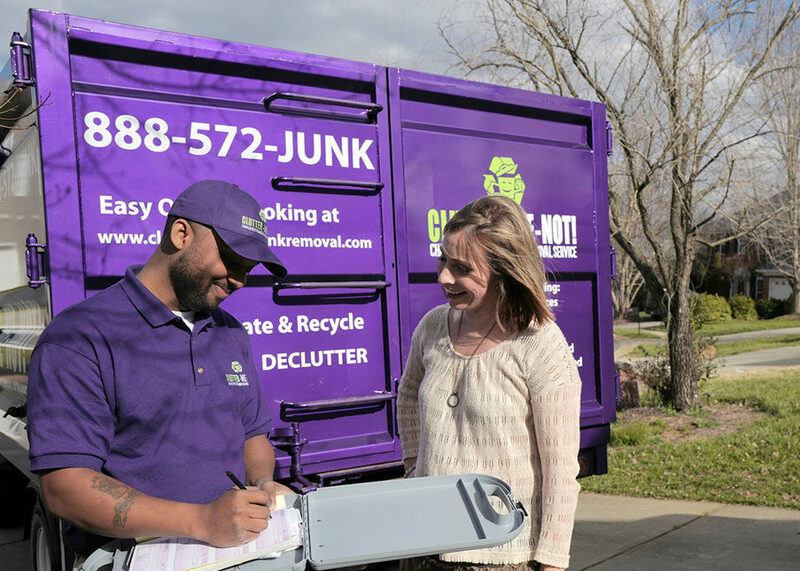 Junk Removal Service-a small business with great impact, giving back to his local community, one project at a time. His heart for people and his ability to stand in the midst of what is-all the while envisioning what could be- is what drives Mario to walk through the process of transition and change that Clutter-Me-Not! exists to facilitate. “It’s the interaction with the people and their reaction to their new space,” Mario shares to explain his reason behind establishing Clutter-Me-Not!. What keeps him going is knowing that, whether he is serving a moving family or a growing business-he has the incredible opportunity and honor of playing a part in someone’s journey towards a new chance and a new beginning. A determined visionary and faithful family man, Mario not only knows and strives to provide what it takes to get your job done, but he is always seeking to create and build long-lasting, trustworthy relationships and partnerships along the way. We are a trustworthy team, dedicated to serving with patience, kindness and determination. We understand the stress and the frustration that moving and change can bring, which is why we show up on time, motivated, and prepared to stay until the job is complete. We believe in working with excellence and we are moved by the passion that we witness from the lives of our clients. It is their drive and their motivation that reminds us of and excites us about what we are doing. We offer competitive, reasonably priced rates and we strive to provide quick turnarounds. We know that who we are is shown by what we do, and we hope that you will see just that as you entrust your needs to us. We look forward to serving you!